I believe the first completely finished, edited, and typed up short story I wrote was at the age of 12 for a project at school. It was this really hilarious over the top space opera inspired by "Star Trek", "Space 1999", etc. It was called “Among theStars” and I turned it into a published screenplay a few years back. Did you stick with the writing after that initial story at 12? 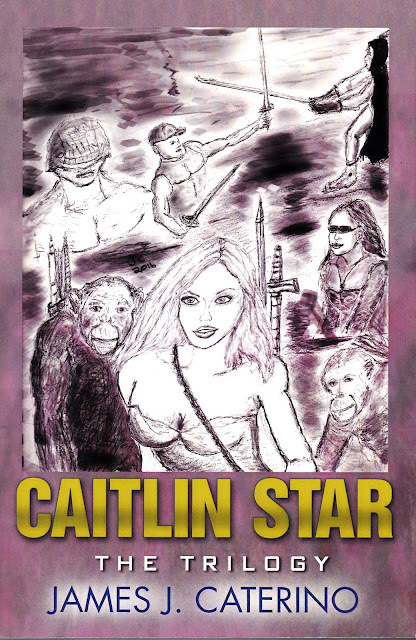 The most praised aspect of your writing are the action sequences, especially those in the “Caitlin Star” series? Tell me about Caitlin. I wrote a novel back in early 2000s about a charismatic anti-hero vigilante named Gunner Star. Think Vin Diesel, circa 2000 – 2004, ala “Pitch Black”, the original “Fast and Furious”, and “The Chronicles of Riddick”. He discovers this philosophy based on an extinct species of hominids called the Bull Mongoni, and teaches this to a series of protégés, including a young, orphaned girl named Caitlin. She is clearly special from the start and becomes his prize pupil and a great leader in her own right. 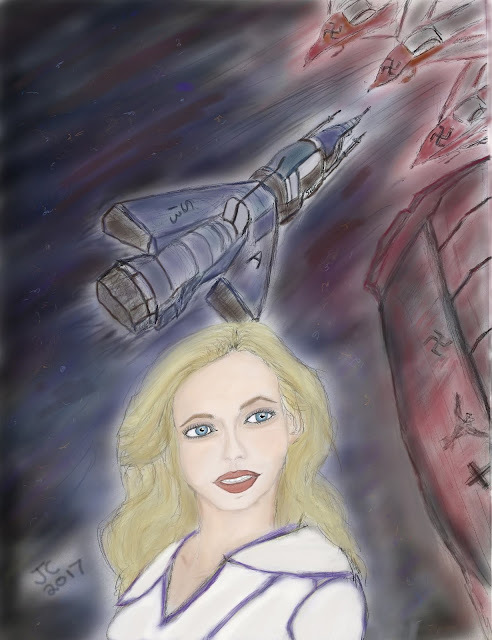 “CaitlinStar the Trilogy” follows her growth and the historic role she plays in a series of great civil wars and in the post-apocalyptic world that follows. Even though the “Caitlin Star books” have a hard edge to them, there is a great sense of wonder about them. Something you really seemed to explore in your next three books, “The Last Neanderthal”, “Watch the Skies”, and “Fireflies”. I call those books my “Amblin Entertainment Trilogy”, because all three stories are inspired by Spielberg films and productions, combined with my own adolescence and personal sensibilities. Those three novels all have a lot of heart and were quite emotional at times. I certainly felt those emotions while writing them. I really wanted to hone in on creating humanistic, character-driven stories with those books. 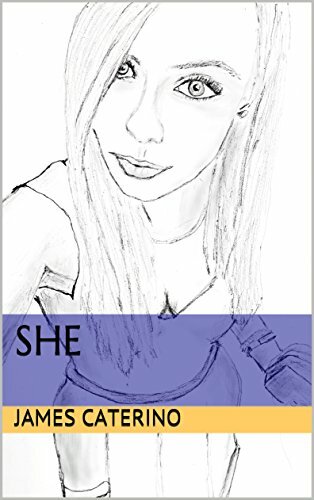 Lately you seem to have been really focused on short stories and I understand you have a new book coming out that will be a collection of some of those. Yes. 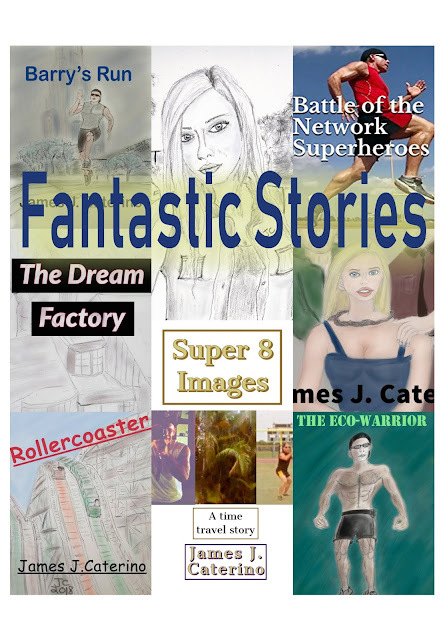 It’s called “Fantastic Stories” and will collect eight stories I have written over the past two years and will include the original cover art for each story. I am very excited about this because I grew up reading “Galaxy”, “The Twilight Zone Magazine”, and many others from the tail end of the pulp era. I love short stories and feel like it has become a lost art form. 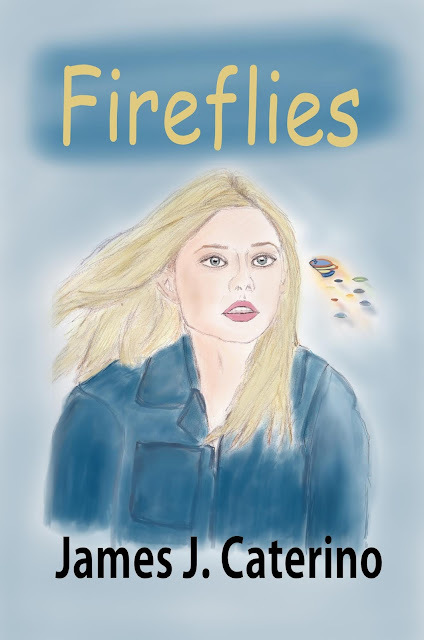 Although by the old technical definition most of my stories would be considered novelettes since they are between 7500 and 20,000 words, although that term really isn’t used anymore. What can readers expect from “Fantastic Stories”? What kind of stories will be in there? Science fiction, action adventure, romance, and suspense that borders on horror. Let me put it to you this way; if you like “The Twilight Zone”, or “The Outer Limits, or “Amazing Stories”, or “Black Mirror”, then I promise you will love “Fantastic Stories”. You are speaking my language for sure. I can’t wait to pick that up. Jim, thank you so much for taking out the time to speak with us.